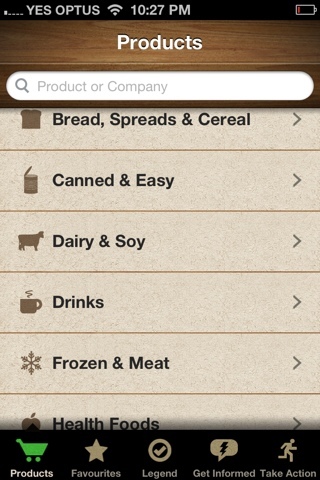 It can be so confusing to know what companies own which products in the Grocery Store. The other day I only just discovered that 'Be Natural' was actually owned by Kelloggs, but you don't see the big Kelloggs label on their packaging like you do with Corn Flakes or other cereals. This makes it so confusing to know which companies your shopping dollar is ultimately supporting. I know that its not something that everybody necessarily thinks about on a daily basis. We like the things that we like and we buy them not really thinking too much about where it comes from, how it is made or the actions of the company that is making it. At least that is how I used to be. If I liked the product and it was good value for money, then I would buy it, simple. It wasn't until I started working for World Vision, before my Mummy days, that my eyes were opened to how unethical many companies are in their business proceedings, and how many terrible practices are going on that are being ignored by big businesses making a buck. And, then they get away with it, because many of us are unknowingly spending our money on their products and most of the time without realising it we are supporting these unethical practices. 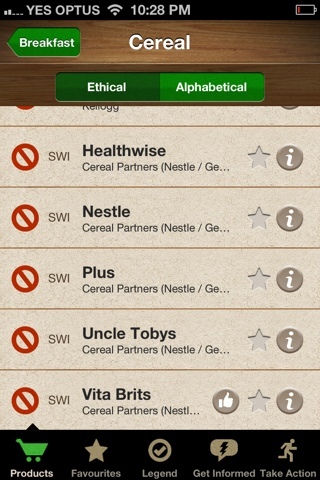 A really easy way to figure out which company is which, and who is owned by who is the Ethical Shopping Guide. 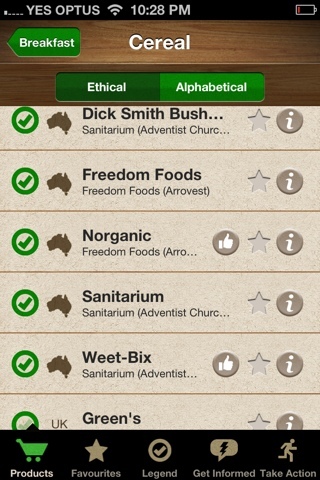 I have the IPhone App called Shop Ethical, which costs a few bucks, but well worth it. I can browse and find the product I am looking for and see the best companies to put my dollars towards. You can actually find out exactly who owns what, and what these companies are doing that is deemed unethical, and make a conscious shopping decision based on that. If you don't have an IPhone you can get a hard copy found at their website HERE. Our consumer voice and dollar can make a huge difference, we see that many companies are becoming 'Fair Trade Certified' because they realised that is what the consumer wants, and demands of them. A lot of time the only way to make these companies wake up is to stop supporting them until they change their practices, and contact them to let them know why you are no longer buying their products. I remember when a campaign started against Arnott's to make sure their chocolate is sourced from child-labour free sources, very soon after they started receiving the postcards, they responded. For me, I feel it is important to know what I am buying, who I am supporting and basically what kind of actions I am saying are OK. It is not OK for me that children are being enslaved in the cocoa industry and stolen from their families. It is not OK that companies are falsely advertising and claiming things that just are not true about the 'health benefits' of their products. It is not OK with me that mothers in third world countries were influenced to use baby formula instead of breastfeeding even though they didn't have access to clean water and their babies ended up dying (Nestle Boycott). I am however OK with people thinking, I am one of "those" people, because I try to make sure the 'stuff' I have doesn't come at someone else's expense. I am OK with my Son growing up and understanding that his voice, even if it is just one voice can make a difference, and that his choices have consequences. Do you know the ethics of the companies behind the products you buy? Disclaimer: I am in no way associated with this product, it is simply something that I use and find helpful and believe in the cause that they are supporting.